In the dreary town of Moormouth, every adult, child, and animal has one goal: to be normal. 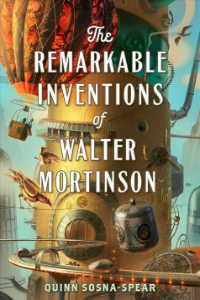 For better or for worse, twelve-year-old Walter Mortinson has never been able to perfect the art of being ordinary, thanks to his knack for tinkering, and his creative mind, constantly bursting at the seams with new ideas for seemingly impossible inventions. So, it is only natural that when confronted with the inevitable future of joining the family business of morticianing, Walter steals the family hearse and runs away with his mysterious next-door neighbor Cordelia to embark on an adventure through strange and wonderful places they never dreamed of seeing. But when this road trip leads them to a rich and famous inventor who knows the hidden secrets of Walter’s murky past, how will they decide where their futures lie? This book was so much fun to read! I absolutely loved reading the descriptions of all the bizarre types of creatures and cultures, and found myself both satisfied by the ending, and still wanting more all at the same time. 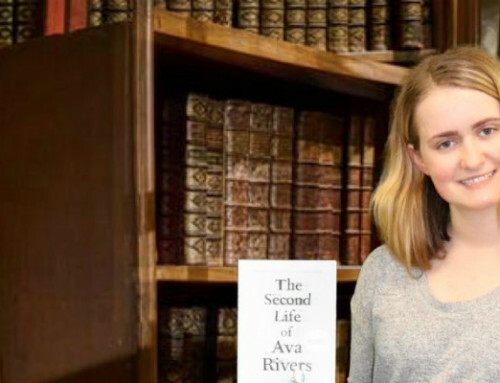 This books has fascinating characters, an engaging and hilarious plot, and a world that is easy to get lost in. I would recommend this book to anyone that likes books with fascinating creatures, entertaining characters, and vivid worlds, but with very real undercurrents of the importance of family, and the significance of hardship. The CML Teen Council is a group of local middle and high school students who meet once a month to plan programs and give input on library services to teens. It began in 2009 and has an application process around May or June each year.